I am going to be honest from the start and say I absolutely loved The Girl You Left Behind. Nothing I write will do it justice! Part One is narrated in the first person. We find ourselves in St Peronne. It is October 1916 and there is a new Kommandant in the town. My imagination was captured straight away as we witness Sophie’s strength as she makes a stand against an accusation made about her family. We experience the brutality of the Germans occupying their small town and how the community survives – sometimes pulling together but at others suspicion is rife. Sophie reflects on how she met Edouard and the life they shared so the reader has an understanding of how deep their love is. Sophie’s portrait gives her strength and hope as she is able to remember who she was at the time it was painted and how the world can be. When Sophie makes her decision it is from her heart and we leave her as something traumatic happens … the reader knows the action but not the outcome. Part Two is mostly narrated in the third person as the reader gets to know Liv Halston. It’s London 2006. This has a totally different pace to Part One and all the time I was reading I was trying to work out how the portrait fitted into the story. What part did it have to play in the plot? When we find out how the portrait is connected to the two leads in Part Two, I quite enjoyed the fact that the reader knew the connection before the characters! When they do, Liv questions her intuition believing she was mistaken in her beliefs. Liv finds herself searching to find out Sophie’s history (both the painting and family) and she has a deadline. The reader finds out what happened to Sophie interspersed in the chapters of Liv trying to find the information she so desperately needs. I found the comparisons quite a shock – for example after being absorbed in Sophie’s life and then to find ourselves on a train with Liv on her way back from France – one stark and physically deprived while the other with all the modern day luxuries we take for granted. One filled with fear, despair and loneliness … the other filled with commuters, their joy and laughter. The way it all comes together is just amazing … in both timelines. 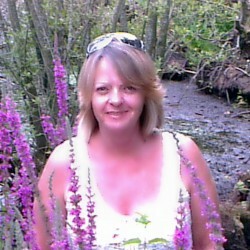 I had made a judgement from the information we are given but I’m so glad I was wrong! It’s so easy to become absorbed in both Sophie’s and Liv’s lives. In both timelines, the plot flows and picks up pace just at the right time. The characters carry you along and through them I experienced a host of emotions, not always comfortable (which is a good thing). I felt tension and frustration and moments of pure joy. For me The Girl You Left Behind highlighted that the choices we make from the heart are always the right ones. Amongst the despair and brutality, there is strength, optimism, faith and fighting for what you believe to be right. There is love, family/belonging and history. 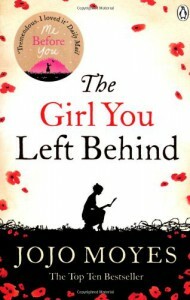 I read The Girl You Left Behind as part of the Real Readers programme.